While imperfectly researched this work has a place in the study of Muggletonianism, or perhaps more importantly in the study of society's relationship with and attitudes to Muggletonianism. The author was very influential and this work was one of the first works to seriously discuss aspects of Muggletonianism to reach a wide audience. 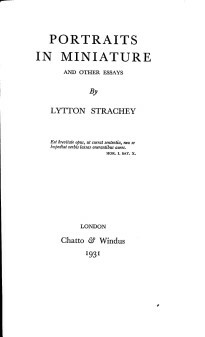 It is flawed in much of its contents, Strachey has Reeve living only a few months from the receipt of the commission and his infamous and laughable assertion concerning Muggleton that "disciples gathered round him in ever-thick crowds" but it does set the scene for the late 1600's quite well and his interpretation of why the prophets felt that they were in receipt of a commission is, while pure conjecture, is interesting and may have some merit. More importantly the work is not cruel or dismissive which is unusual for popular pieces concerning Muggletonianism and it does contain many truths which suggests at the very least some contact with Gordon's or perhaps Williamson's works.